Demonstrating how the seven sacraments are both powerful encounters with the Living Christ and a marvelous blueprint for rich and joyous living—from birth through confirmation, marriage, and the end of life—this guidebook provides Catholic parents fun and dynamic ways in which to learn and experience each core value. By providing instructive ways for strengthening the family unit through Christ, Elizabeth Ficocelli shares a refreshing look into the power and purpose of each sacrament. 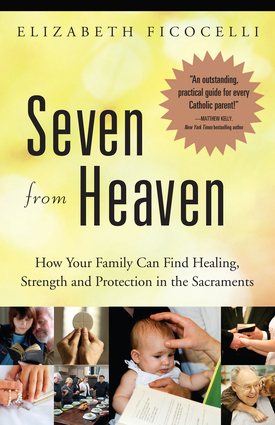 Flavored throughout with touching, and at times humorous, personal accounts of her experience with the sacraments, Ficocelli accomplishes a difficult task—providing a book that is not only enjoyable to read, but also deepens the Catholic experience and the strength of faith in every devout family. Elizabeth Ficocelli is a popular speaker and the author of Shower of Heavenly Roses. She lives in Reynoldsburg, Ohio.